The United States and Colonies of America, from 1774-2014, has had nine cities or towns that served as their seats of government. Commonly referred to as "Capitals," the Congresses of the United Colonies and States of America actually convened in 14 different buildings from September 5, 1774 to November 17, 1800. 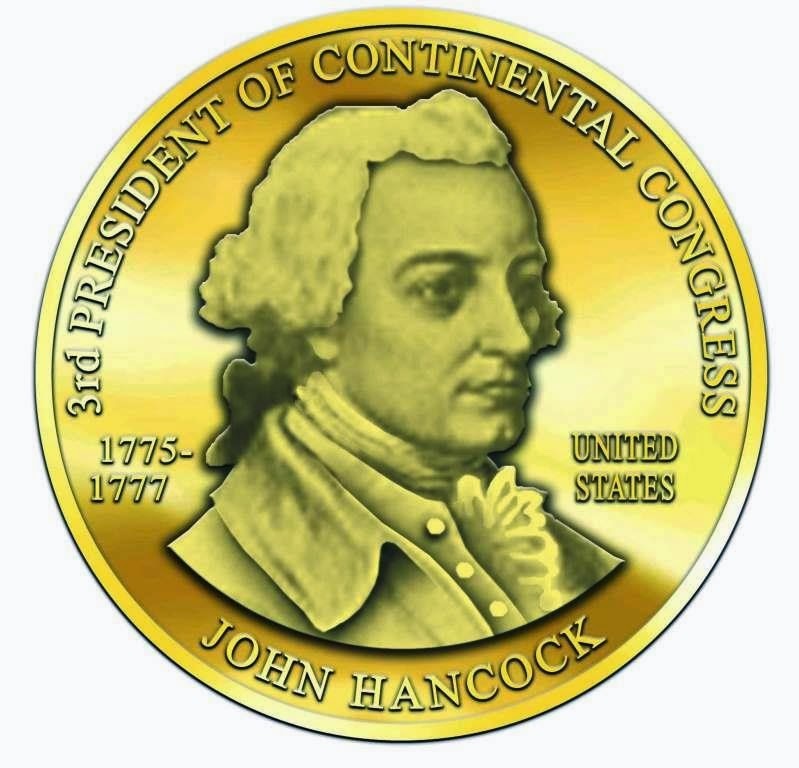 The Second Continental Congress, to avoid capture by British forces that feigned a winter advance on capturing Philadelphia, fled to Baltimore in mid-December 1776. Although the old county Court House was offered as a meeting place the delegates chose to meet in a private house not far from the waterfront. 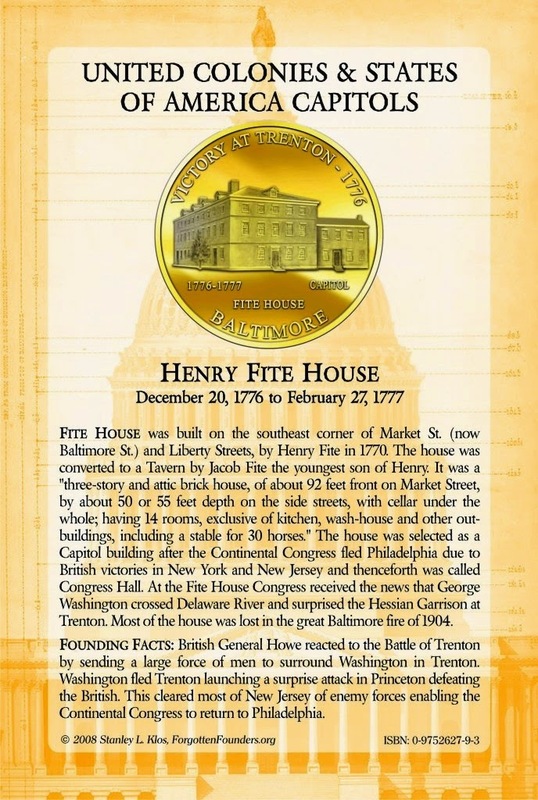 The Henry Fite House was the largest building in the small hamlet of Baltimore Town. On Friday, December 20, 1776, Congress convened in Fite's spacious three-story and attic house standing on the southwest corner of Sharpe and Baltimore Streets (now Baltimore Street and Hopkins Place). The house was built by Jacob Fite, and was then the farthest house west in the town. 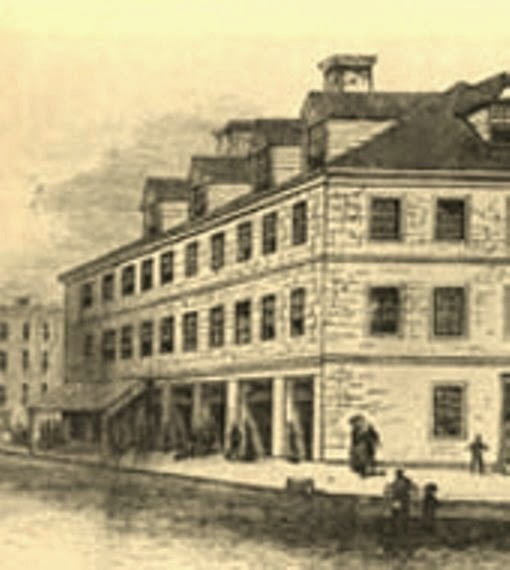 It was a “three-story and attic brick house, of about 92 feet front on Market Street, by about 50 or 55 feet depth on the side streets, with cellar under the whole; having 14 rooms, exclusive of kitchen, wash-house and other out-buildings, including a stable for 30 horses.” The house had a ten window-long room with two fireplaces and Congress signed a three-month lease for 180 pounds. Additionally, unlike the Court House, Fite's Tavern was secure against a British naval attack being located beyond the shelling range of the Royal Navy should they venture up the Patapsco River. Congress passed notable legislation while it convened in Baltimore. On December 27th, 1776, after receiving new of the British's defeat at Trenton, N.J., the Continental Congress conferred upon General George Washington the "extraordinary powers for the conduct of the Revolutionary War." 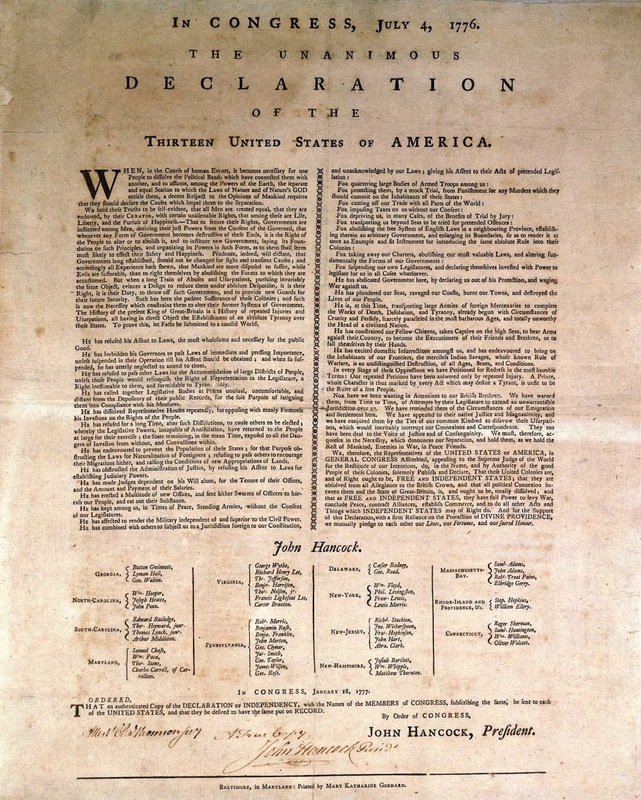 On January 18th, 1777, after news of a second victory in Princeton, John Hancock's Continental Congress ordered that a true copy of the Unanimous Declaration of The Thirteen United States of America be printed complete with the names of all the signers. 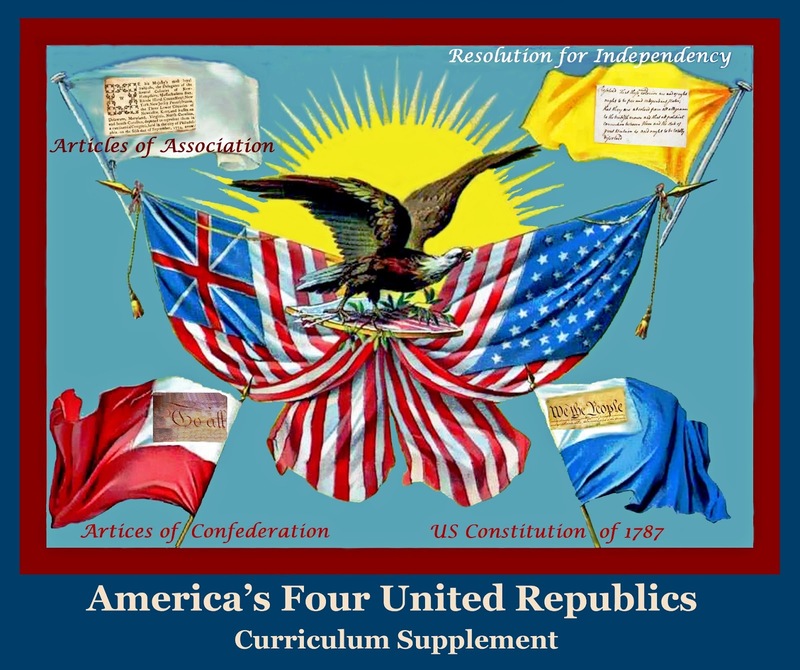 Ordered, That an authenticated copy of the Declaration of Independency, with the names of the members of Congress subscribing the same, be sent to each of the United States, and that they be desired to have the same put upon record. 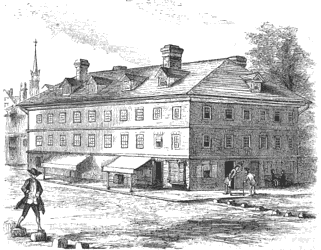 In 1816, Old Congress Hall was purchased by international financier George Peabody (1795–1869). Old Congress Hall served as his home and office for the next 20 years. It was in this residence that his business pursuits made him the richest man in America by mid-1830's. On February 22, 1894, the Sons of the American Revolution placed a large, elaborate, polished bronze memorial tablet in front of the "Henry Fite House." The plaque described the building's two month service to the nation proclaiming: "On this site stood Old Congress Hall, in which the Continental Congress met". Above the plate containing the picture and inscription, is an ornamental cornice, with an eagle with outstretched wings on each corner, and a supported scroll-work, surmounted by a star in the center. The sides of the tablets are rounded. On one of these rounded sides are the names of seven of the original thirteen states -- Maryland, Pennsylvania, Massachusetts, Delaware, New York, Rhode Island and Connecticut -- with a star between each; and on the other side the names of the other six: New Hampshire, New Jersey, Virginia, North Carolina, South Carolina and Georgia. Shields decorate the lower corners. On February 7–8, 1904, the Old Congress Hall was consumed by the Great Baltimore Fire. Only the memorial tablet remained on the corner of the smoking ruins Today, the 1st Mariner Arena located at 201 West Baltimore Street, Baltimore, Maryland 21201 stands on the historic site of Old Congress Hall. Mary Katherine Goddard (June 16, 1738 – August 12, 1816) was an early American publisher and the first American postmistress. She was the first to print the Declaration of Independence with the names of the signatories. She served as Baltimore's postmaster for 14 years (1775-1789). January 24 Provides money for holding an Indian treaty at Easton. Pa. January 28 Appoints committee to study the condition of Georgia. January 29 Directs Joseph Trumbull to conduct an inquiry into activities of his deputy commissary Carpenter Wharton. January 30 Creates standing committee on appeals from state admiralty courts. February 1 Orders measures for suppressing insurrection in Worcester and Somerset counties, Maryland. February 5 Orders measures for obtaining troops from the Carolinas; instructs Secret Committee on procuring supplies from France. February 6 Directs measures for the defense of Georgia and for securing the friendship of the southern Indians. February 10 Recommends temporary embargo in response to British naval "infestation" of Chesapeake Bay. February 12 Recommends inoculation of Continental troops for smallpox. February 15 Endorses the substance of the recommendations adopted at the December-January New England Conference and recommends the convening of two similar conferences in the middle and southern states. February 17 Endorses General Schuyler's efforts to retain the friend ship of the Six Nations. February 18 Directs General George Washington to conduct inquiry into military abilities of foreign officers. February 19 Elects five major generals. February 21 Rejects General Lee's request for a congressional delegation to meet with him to consider British peace overtures; elects 10 brigadier generals. February 22 resolves to borrow $13 million in loan office certificates. February 25 Adopts measures to curb desertion. February 26 Raises interest on loan office certificates from 4% to 6%. February 27 Cautions Virginia on expeditions against the Indians: adjourns to Philadelphia, to reconvene on March 5.